Ha Giang is the final frontier in northern Vietnam, an amazing landscape of limestone pinnacles and granite outcrops. The far north of the province has some of the most spectacular scenery in the country, and the trip between Dong Van and Meo Vac across the Mai Pi Leng Pass is quite mind-blowing. 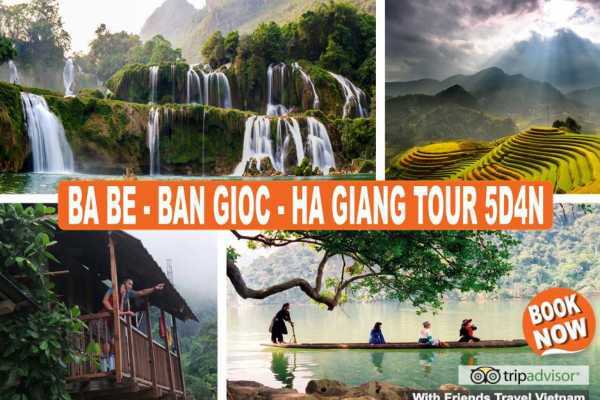 Ha Giang should be one of the most popular destinations in this region with his beauty, Friends Travel Vietnam is organizing private tours, where we go with private transport to reach off-the-beaten-track, attractions like Lung Cu and the Vuong Palace though, remote homestays, together with the lovely local minorities. Whichever way you tackle Ha Giang, you'll be among only a handful of travellers to the area and experience some of Indochina’s most jaw-dropping scenery. .